Written by Kate Allen, Director of Amnesty International UK. The Prime Minister has called an election. Elections have a tendency to twist reality into toxic rhetoric, which has proven recently to have grave consequences. We won't stand for it. We’re reminding all those seeking election to Westminster that their words and actions can have very serious consequences. In the shadows of big political changes that have marked recent times, there have been lots of good news stories I don’t want you to miss. From Chelsea Manning’s imminent freedom to the millions of people marching for women’s rights and the powerful public pressure against President Trump’s cruel Muslim ban – already this year your actions have had a real impact. As governments neglect their responsibilities to uphold human rights and continue to create an ‘us vs. them’ culture of blame, hate and fear, together we will continue to defend human rights. Where they try to divide us, we will be united. We know that a world that celebrates diversity, acceptance and equality is a win for us all. This is just the start and together in 2017 we will deliver even more wins for human rights. We were running out of time for President Obama to reduce whistle-blower Chelsea Manning’s 35-year sentence. Over 60,000 of you emailed Obama, sent messages of support to Chelsea and spread the word to help pressure for her release. With just a week left of his presidency, Obama announced that he was commuting the majority of Chelsea’s sentence. 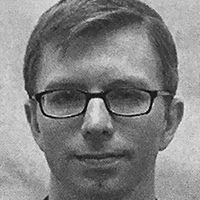 In May this year, Chelsea Manning will finally walk free. 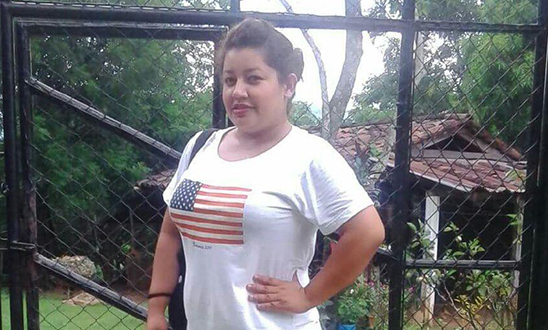 26-year-old mother of Two, Sara Beltran Hernandez, fled violence in El Salvador and was detained in Texas for over 400 days. She was recently diagnosed with a brain tumour and needed urgent medical care. More than 25,000 of you took action to flood the authorities with emails asking for Sara to be freed. She has now been released. 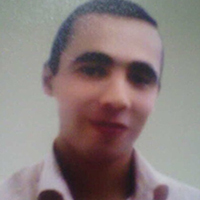 Hamid Ahmadi was on death row in Iran for a crime he allegedly committed when he was just 17 years old. His trial was seriously flawed, and the punishment deadly. We reached out to you with just days until Hamid’s execution, asking you to help save his life an you did. Thanks to you, Hamid's execution has been permanently stopped. Finally - review of UK legal aid cuts announced! In 2013, cuts to Legal Aid in the UK made it very difficult for the most vulnerable people in England and Wales to access the legal care they needed. Last year, you called on the UK government to review the impact of these cuts. Good news! In January this year, the Ministry of Justice announced a timetable for its long-promised review. It’s an important first step. From attacking women’s rights, shutting the door on refugees to discriminating against Muslims, the Trump administration has hit human rights hard in its first few weeks. The horror is real - but so is the resistance. Please join Trump Watch today – and you’ll be the first to know when urgent action is needed.